HYDRA has set their sights on Simon Williams and his company's latest Iso-8 experiments. 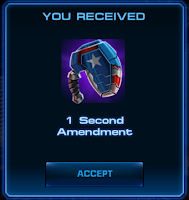 Not only must S.H.I.E.L.D. protect New York from erupting into a full-blown battlefield, but they must also prevent Wonder Man from being brought back into the ranks of HYDRA. A total of 25 Tasks need to be completed in order to unlock and recruit Wonder Man. 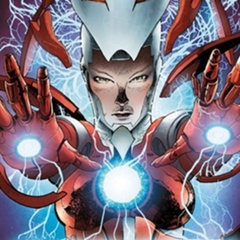 Thundra, X-23, Black Cat (totaling 248 Command Points) are needed to complete Task 25. If you don't have enough Command Points, you may want to save 25 Gold so you can skip the task. Can be done in any mission. Research the Synthesized Antidote to complete this task. Red Skull can be found on the current Spec Op map. Mountain Crusher is Juggernaut's second ability. Juggernaut is a Team-Up in Spec Op 10 Mission 2. Can be done in any combat if you recruited Juggernaut. The Ionic Sledge can be researched after acquiring the Ionic Hammer. Reward: 3000 Silver & Spec Op 10: Mission 3 Unlocked! Malice in Wonderland - 14 of 25 - Let's Pick a Fight! Ionic Punch is Wonder Man's first ability. 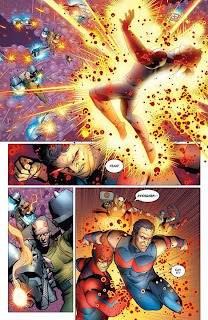 Wonder Man is a Team-Up in Spec Op 10 Mission 1 and Mission 3. The Ionic Cannon can be researched after acquiring the Ionic Blaster. Fight Red Skull either on your own map or on your friends' maps for free. Red Skull respawns every 72 hours. Searing Smash is Red Hulk's first ability. Red Hulk is a Team-Up in Spec Op 10 Mission 3. Can be done in any combat if you recruited Red Hulk. Wonders Never Cease is Wonder Man's fourth ability. Wonder Man is a Team-Up in Spec Op 10 Mission 1 and Mission 3. Collect Coiled Lockboxes to unlock Constrictor as a playable hero. 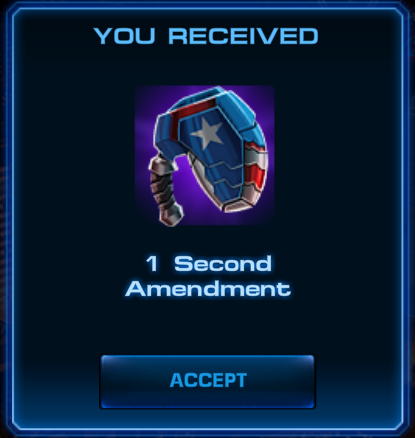 They can be earned from fighting Red Skull or lockbox sidequests. Grim Reaper is the Boss of Mission 3: Death in the Family. Baron Zemo is the Epic Boss in Mission 1: Hostile Takeover. HINT: Participate in Deploys as soon as they appear. HYDRA has attacked Williams Innovations and are attempting to steal their experimental Iso-8 technology. Recover what you can before it falls into their hands. HYDRA isn't content with just stealing his tech; they are also intent on capturing Wonder Man himself. Unfortunately, he is out cold, and we need to protect him while he regains consciousness. HYDRA is attempting a full assault on Avengers Tower in an effort to get to Wonder Man. Luckily, Wonder Man has recovered, and we'll need his help to keep HYDRA and Grim Reaper at bay. HYDRA Power Armor appears in Mission 1 and Mission 3.